By privatizing health insurance, Medicare, and Medicaid, the poor will struggle to afford care. The man that Donald Trump would like to put in charge of the nation’s sprawling healthcare system wants to overhaul it in ways that could drastically affect the lives of the poor and the elderly across the country. President-elect Trump announced last week that his pick for secretary of the Department of Health and Human Services is Georgia Congressman Tom Price, a 62-year-old Republican who worked as a physician before entering politics in 1996. "Chairman Price, a renowned physician, has earned a reputation for being a tireless problem solver and the go-to expert on healthcare policy, making him the ideal choice to serve in this capacity,” Trump said in a statement. The secretary oversees a $1 trillion budget that includes food and drug regulation, medical research at the Centers for Disease Control and Prevention, and research at the National Institutes of Health. Price, however, will likely be tasked with focusing on the hot-button political issues of reforming the Affordable Care Act, Medicare, and Medicaid. “[He] is exceptionally qualified to shepherd our commitment to repeal and replace Obamacare and bring affordable and accessible healthcare to every American,” Trump said in his announcement. Price has become one of the Republican party’s leading critics of the Affordable Care Act, Medicare, and Medicaid. All three could be transitioned from public “safety net” programs that help insure the poor, elderly, and vulnerable into privatized programs in which people get help buying their own insurance. "A lot of people who supported Donald Trump are going to be the ones to face the consequences." — Mark Peterson, public policy expert at UCLA. Price was one of the first to outline a Republican alternative to the ACA known as the Empowering Patients First Act. He proposed giving citizens tax credits in order to get them to purchase their own private health insurance and encouraging them to use health savings accounts to pay for expenses. 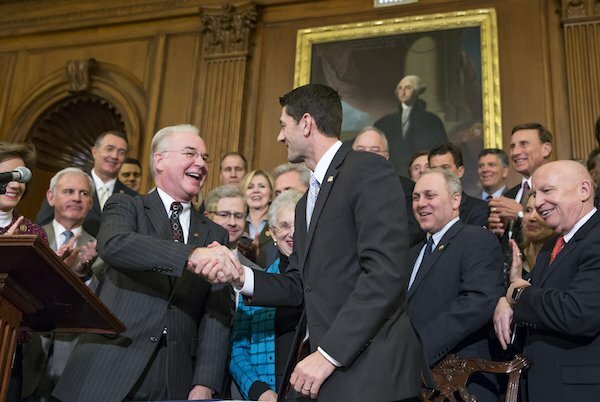 The plan now serves as a model for the GOP’s “Better Way” alternative to Obamacare. The plan would cut federal subsidies that help many Americans afford private health insurance. It would also allow insurers to deny coverage of addiction treatment, birth control, maternity care, prescription drugs, and other essential medical services, according to The New York Times. This plan could moderately benefit upper middle class Americans who rely on their employers for health insurance and have extra money to tuck into a health savings account, according to Mark Peterson, a professor of public policy at UCLA’S Luskin School of Public Affairs. But for those at the margins, particularly those who were uninsured before the ACA and do not have money to put into rainy-day savings accounts, the effect could be regressive, he told Global Citizen. “The expectation would reasonably be several more million people returning to the uninsured ranks, who will then rely on free and uncompensated care or delaying care or going bankrupt,” he said. Price and House Speaker Paul Ryan want to change Medicare from a program that provides full health insurance coverage to seniors into a program that provides seniors with vouchers to buy their own insurance on the private market. They also seek to change Medicaid into a system that provides a chunk of money to states to disperse how they see fit, within certain state-created regulations. Fourteen million Americans could lose coverage if Congress revokes the Medicaid expansion of the Obama administration, according to the Congressional Budget Office. In other words, the block grants could be handed to states, which could very well choose to use them for purposes other than helping provide healthcare for those in dire need. Price has also earned a reputation of being a hard-line conservative on women’s reproductive rights, supporting legislation to ban federal funds from going to Planned Parenthood and supporting a bill to ban abortions after 20 weeks of pregnancy. How drastically Trump, Price, and the Republican party will be able to actually overhaul the American healthcare system will depend on whether Congress can agree with the administration on controversial policies, according to experts. “One of the big unknowns is what happens when the the DHS, working with the leadership of the House and Senate, comes forth with a plan that is very different than what Trump put forth in the campaign,” Peterson said. Changes to Medicare and Medicaid could cause blowback from aging, middle-class voters whose health care costs begin to drive them out of the middle class and into the lower class. This, Peterson explained, could deter Trump from following through on drastic changes proposed by Price or Ryan. “A lot of people who supported Donald Trump are going to be the ones to face the consequences of Donald Trump block granting Medicaid and turning Medicare into a premium support system in a private insurance market,” Peterson said. And while the country’s middle class may be better-off than the poor in that they can afford a private insurance plan, “buying health insurance does not mean you have good health insurance,” Peterson said. The proposals that have been bandied about by Republicans for years — including those to reform Medicare and Medicaid — may become less extreme now that they finally have a chance of being enacted, Aaron said. There are many unknowns about what will happen under President-elect Trump: Price will first need to be confirmed by the Senate, and then will work with the HHS and with Congress to come up with proposals that it is still unclear whether Trump would sign into law. And so the task for Global Citizens now and going forward will be to pay close attention to and fight against changes that could hurt America’s most vulnerable.